This fall is filled with fantastic things to do around L.A. There’s music, theater, film screenings, and more to enjoy every day, which can get a little overwhelming. That’s why, each week, we pick some of the best for your entertainment enjoyment. In celebration of the upcoming Veuve Cliquot Polo Classic’s annual arrival in town, jazz enthusiasts (or Champagne enthusiasts) will enjoy a swanky night of bubbles and tunes, including a chance to sample the brand’s newest release, Veuve Cliquot Rich Rosé. And, unlike attending the Polo Classic, entry to this soiree is free. Fuzzy, garage-y rockers Ty Segall and Tim Presley (aka White Fence) put out a collaborative album this summer and it’s been the soundtrack to backyard parties and hip coffee shops ever sense. Catch them performing together at this show, presented as part of a program leading up to the Desert Daze fest, where they will also play. Oh, you read that right. Roy Orbison hologram tour. The American musician passed away in 1988, but thanks to the magic of modern technology, his music lives on in this unusual new “performance” (if that’s the word). We’re not quite sure how this one is going to go, but we’re extremely curious. If you’ve caught an episode of Drunk History, you’ll recognize the basic conceit here. A group of funny folks get tipsy, and then do their best to recreate a story, as silliness ensues. In this case, the plan is to recreate the entirety of kitschy Halloween classic, Hocus Pocus. 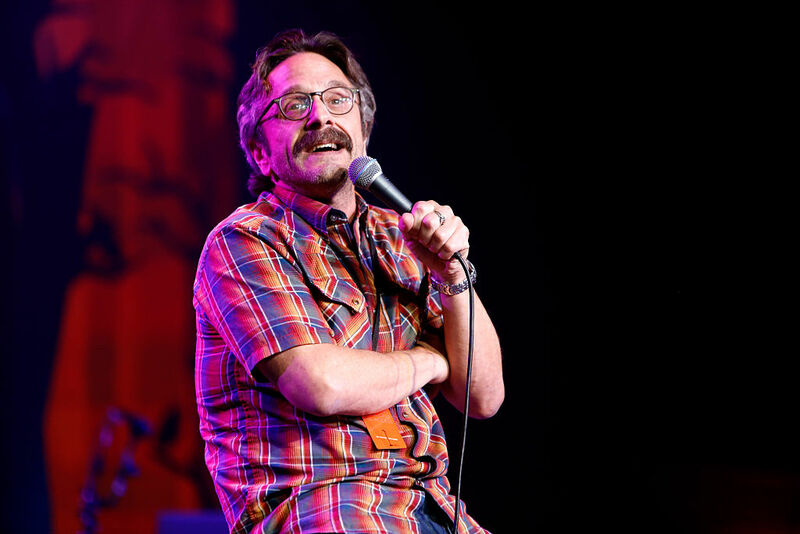 Unofficial mayor of Highland Park and dean of the L.A. comedy podcast corps, Marc Maron performs a live stand-up comedy set at Dynasty Typewriter. If you can’t make it out the Thursday night show, he performs again on Saturday at the same venue. It’s an extremely New York City night at the Hollywood Bowl. Three strong bands share the stage, starting with the buzzy young band Sunflower Bean, and building to the headliner, Interpol, who got together in the ’90s, but still sound fresh. The first-ever Adult Swim Festival of music, comedy, and general Adult Swim-inspired amusements kicks off today and continues through the weekend at ROW DTLA.